A 2016 Denver 9News (NBC) story, “Colorado judges win elections despite bad reviews” converted the “official” performance review survey results into letter grades for each of the 108 judges appearing on the 2016 ballot. Amazingly, just like Lake Woebegone, all of the judges were graded “above average” (letter grades ranging from a high of “A-” to a low of “B-” with the vast majority receiving a “B+” grade). Colorado voters deserve better information on these unelected officials, who (usually with little notice) exert enormous influence over their lives. For a 5th straight election cycle, Clear The Bench Colorado researched, reviewed and evaluated the actual job performance of the appellate court (statewide) judges appearing on the 2018 ballot (1 Supreme Court justice, 4 Court of Appeals judges), collected inputs on district and county judges from around the state, and published a substantive analysis of judicial performance in an easy-to-read scorecard format. The Colorado Supreme Court announced in a press release earlier today that Justice Nathan B. Coats will be the next Chief Justice, effective 30 June 2018. Justice Coats, most recently retained in the 2012 elections (see CTBC’s 2012 evaluation of judicial performance) was appointed to the Colorado Supreme Court on 24 April 2000 by Governor Bill Owens, and has been considered among the court’s “conservative” minority. The appointment of Justice Coats as Chief Justice shatters a decades-long lock on the position by Democrat appointees – which has been a lynchpin of strategic approaches to ensure that congressional redistricting and state legislative district reapportionment are sent to an often left-leaning court majority and chief justice. Justice Coats may put an end to that decades-old Democrat strategy. First and most obviously, as Chief Justice his four appointments hold the balance of power on the 11-member state legislative district reapportionment commission (a balance of power which has been effectively wielded by Democrat Chief Justice appointees in the past, most notably in 2000 when then Chief Justice Mary Mullarkey stacked the commission to 6-5 Democrats despite Republicans holding the governor’s office and the state house majority). Second, Justice Coats’ dissents in key cases handing congressional redistricting wins to Democrats in past years point to a less partisan, more constitutionally compliant approach – putting the onus back on the state legislature, as defined in the Colorado Constitution, Article V Section 44). Coats dissented from the majority ruling in the 2011 redistricting case Hall v. Moreno (11SC842) drawing the state’s current congressional districts, and notably left the door open for the legislature to do its job at a later date. Coats also dissented from the notorious Mullarkey Majority decision in the 2003 congressional redistricting case Salazar v. Davidson in which the Court effectively declared itself “part of the legislature” in order to sanction its post-hoc re-drawing of Colorado’s congressional districts. Justice Coats has been among the consistently constitutionalist justices on the Colorado Supreme Court; his pending appointment as Chief Justice is a tremendously positive development for those favoring a court promoting the rule of law rather than a partisan agenda. Clear The Bench Colorado Director Matt Arnold was invited to discuss the question of whether Colorado courts are political (short answer: of course, to some extent) in a panel discussion broadcast on The Aaron Harber Show. Other panelists were judicial reform activist Peter Coulter, Attorney Tom Harrison, and former Colorado Supreme Court Justice Rebecca Love Kourlis. The shows discussing “Are Our Courts Political?” aired on The Aaron Harber Show on Monday, 3 April 2017. Are Our Courts Political – Part 1 from Aaron Harber on Vimeo. Are Our Courts Political – Part 2 from Aaron Harber on Vimeo. It is naive beyond credulity to assert that political considerations do not influence judicial decisions (if for no other reason than the indisputable fact that judges are human, and have opinions, biases, and predilections that may intrude upon their decision-making). It is also indisputable that courts have increasingly become involved in making policy, rather than applying law – addressing questions that have traditionally (and correctly, IMNSHO) been viewed as non-justiciable (violating the “political question” doctrine). The “official” system of evaluating judicial performance also lacks transparency and serves to cover up (and perpetuate) existing politicization of the state’s third branch of government. The worst element of the “”judicial evaluation” system in place is that a commission composed entirely of political appointees tells (er, “recommends”) Coloradans how to vote on judges – our third branch of government. It is also a myth to assert that Colorado’s “merit selection and retention” system is free of political influence and special-interest spending or influence. However, the greater and more pernicious element of politicization of our courts simply revolves around what cases are taken (or allowed to proceed); the increasing reach of litigation into every corner of society and nearly every interaction (commercial or personal) between a wide range of parties. When judges insert themselves (or allow the courts to be inserted) into areas that are more properly issues of governance, policy, social interactions or even etiquette, and matters of belief, rather than straightforward questions of law, the courts axiomatically become more political. The most encouraging takeaway from the panel discussion was a general agreement on the aspirational condition of our courts; the way things ought to be. Clear The Bench Colorado will, with your support, continue to promote transparency and accountability in the Colorado judiciary, informing the public to increase awareness of the substantial public policy implications of unrestrained activism and political agendas in the courts. We will continue to work to educate voters and provide information of relevance related to the judicial branch, and to provide useful and substantive evaluations of judicial performance. However, we can’t do it alone – we need your continued support; via your comments (Sound Off!) and, yes, your contributions. Clear The Bench Colorado Director Matt Arnold was invited to discuss the pros and cons of Colorado’s “Merit Selection” system of nominating and selecting judges in a panel discussion broadcast on The Aaron Harber Show. Other panelists were former Colorado Supreme Court Justice Gregory Hobbs, University of Colorado Law Professor Melissa Hart, and former Colorado Supreme Court Justice Rebecca Love Kourlis. The shows discussing “Judicial Selection and the Legal System” aired on The Aaron Harber Show on Sunday, 2 April 2017. The panel discussion contributed to addressing an important informational gap, as most Colorado citizens have very little knowledge about the process for selecting, nominating, and appointing judges to office under Colorado’s largely non-transparent selection system. The former judges (and wannabe judge) on the panel staunchly defended the current system (“Remain Calm! All is well!“) and largely opposed reforms to increase transparency and accountability, while CTBC Director Matt Arnold advocated for retaining the system but implementing reforms to increase visibility and transparency (which, CTBC firmly believes, would both improve the quality of judicial nominations and increase public confidence). Judicial Selection and the Legal System Part 1 from Aaron Harber on Vimeo. Judicial Selection and the Legal System Part 2 from Aaron Harber on Vimeo. A number of years ago, Colorado embarked upon an experiment in government that was touted as a great reform. Attempting to “take the judges out of politics” our state did away with direct, contested elections of judges in favor of the “merit selection and retention” process pioneered by the State of Missouri (thus, the “Missouri Plan”), under which judges and supreme court justices are nominated by commissions, appointed by the governor, and only subjected to checks and balances by the citizens of the state in periodic “retention” elections (posed as a simple yes/no question on the ballot). In theory, the system looked like a good idea; after all, selecting judges on the basis of “merit” instead of “ability to win an election” – putting professional qualifications ahead of political ones – appeals to our common desire for fair play and “equal justice before the law” and removes some of the most direct and obvious temptations for corruption via “quid pro quo” campaign contributions. In practice, however, the “Missouri Plan” systems in place in several states seem to have merely shifted the potential for undue influence to well-connected interest groups (particularly the “in-crowd” of bar associations, other attorney groups, lobbyists, and others directly involved with the courts) operating largely outside of public scrutiny. Lack of transparency – in both the up-front selection & nomination, as well as the back-end review & retention, processes – has actually led to a complete and utter lack of accountability for Colorado Supreme Court justices in Colorado. So how do Colorado’s Judicial Nominating Commissions try to make ‘better choices’ for replacing outgoing judges? The greatest flaw in the current process is an almost complete lack of transparency (until recently, the nominating commissions refused to even publish the names and backgrounds of the three “finalists” nominated for appointment by the governor). Judicial Nominating Commission members are usually completely unknown (and hence unaccountable) to the public; appointment to the commissions is at the sole discretion of the governor, frequently selected from among political “friends” and contributors, leading to charges of cronyism. Greater transparency in the commission’s deliberations would also do much to restore confidence in the integrity of the process. At a minimum, publishing the commission votes on nominees, along with a representative sample of questions put to the candidates, would allow the public to verify that judicial merit (versus political litmus tests or group identity) was decisive in nominating judicial appointees. Finally, some form of public review and/or legislative confirmation hearings should be considered. Under Colorado’s current system, the governor appoints nominating commission members, who make their “recommendations” to the governor, from which the governor selects one for office – a process completely lacking in checks & balances, and from which the legislative branch is completely excluded. Such concentration of power in the hands of a single individual is inherently corrupting – and should be balanced by including the other branch of government, with public review. 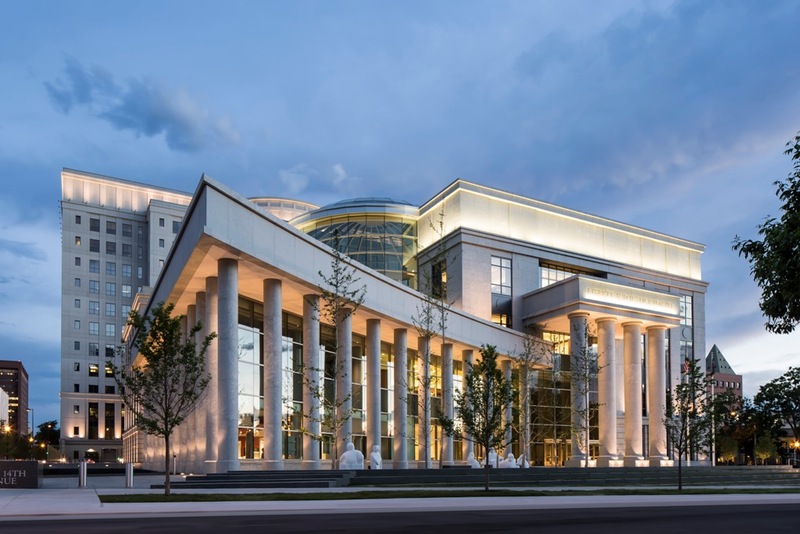 The 17th Judicial Nominating Commission has named the three finalists to fill an opening created by the promotion of Judge Welling to the Colorado Court of Appeals. Cynthia Kowert of Brighton, and Roberto Ramirez of Thornton were selected by the commission on Jan. 31, 2017, at a meeting in Brighton. Under the Colorado Constitution, the governor has 15 days from Feb. 1, 2017, within which to appoint one of the nominees as district court judge for the Seventeenth Judicial District (Adams and Broomfield counties). CTBC’s 2016 Evaluations of Colorado Judicial Performance: Do you Know Your Judge? Colorado voters deserve better information on these unelected officials, who (usually with little notice) exert enormous influence over their lives. For a 4th straight election cycle, Clear The Bench Colorado researched, reviewed and evaluated the actual job performance of the appellate court (statewide) judges appearing on the 2016 ballot (1 Supreme Court justice, 10 Court of Appeals judges), collected inputs on district and county judges from around the state, and published a substantive analysis of judicial performance in an easy-to-read scorecard format. Although Colorado has been at the epicenter of court battles over school choice in recent years, the state is hardly unique as a legal battleground. Around the nation, opponents of education reform use lawsuits as the favored weapon to stymie school choice in the face of public opinion increasingly trending towards increased opportunity and options – with surveys showing that most Americans favor school choice policies. Perhaps because school choice opponents are losing the battle in the courts of public opinion, the fights have increasingly shifted to courts of law, where outcomes are time-consuming, expensive, and uncertain; and all too dependent on the whims of presiding judges. Litigants on both sides of the school choice battle attempt to increase the odds of success by venue-shopping, bringing lawsuits in jurisdictions deemed most favorable to their position; but ultimately, should such policy decisions be in the hands of judges at all? Among the current school choice cases nationwide, the ongoing battle over the Douglas County School Choice Scholarship program (with appeals pending in both state and federal courts, including a likely review by the U.S. Supreme Court) is perhaps the most potentially far-reaching. The Douglas County school choice program has been in legal limbo almost since its inception; the original legal challenge to the program was filed shortly before it went into effect in 2011, with Denver District Court Judge Michael Martinez issuing an injunction to halt the program almost immediately thereafter. Almost two years later, the Colorado Court of Appeals reversed the lower court and upheld the school choice program. 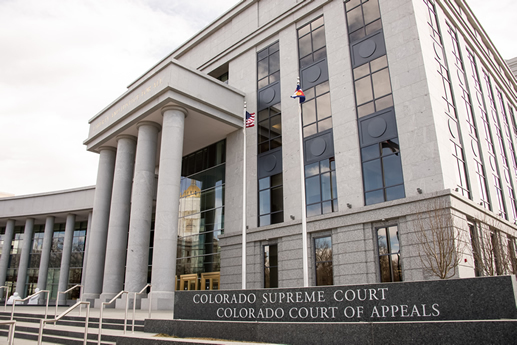 However, on appeal from that appeal, the Colorado Supreme Court, in an unusual 3-3-1 plurality decision, struck down the school choice program on a combination of constitutional and statutory grounds. 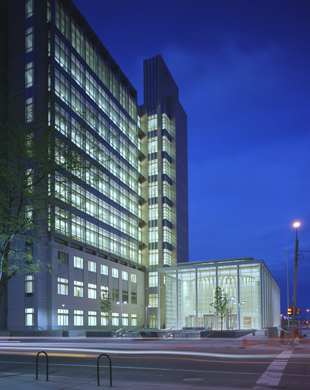 Currently, a petition for certiorari (request for review) remains pending before the Supreme Court of the United States (at issue: whether it violates the Religion Clauses or Equal Protection Clause of the United States Constitution to invalidate a generally-available and religiously-neutral student aid program simply because the program affords students the choice of attending religious schools). Meanwhile, a statewide tax-credit program in Florida has been subjected to legal challenges even longer (some elements of the program were challenged in 2009; the lawsuit was expanded in 2014 before being dismissed in May 2016). However, that case (along with another challenge to the constitutionality of state tax credit scholarships, brought by the teacher’s union) is pending before the state court of appeals. Each of these cases, alone, could have tremendous impact on the fate of school choice programs nationwide. The fact that all of them are likely to be decided in the next year (or so; notoriously, the wheels of justice grind slowly) trebles the potential impact, and could prove decisive for the fate of school choice programs nationwide. Advocates – and opponents – of school choice have a protracted, drawn-out and resource-intensive (legal) battle ahead – with enormous stakes. After all… it’s for the children.